I am always changing things around here. and it's time for a little update again. As most of you know- our house is a vintage 1940 cottage. and the old original character and charm of them. to give it that old antique find feel. the after when some of the mini- makeover changes are wrapped up. on a BIG time budget. Beautiful! The chandy is a great touch! That looks so pretty, really inspiring! Just a peek is all we need to see that your home is stunning. You have that magic touch! Absolutely gorgeous! I love every bit in here. The cabinets, greenery, baskets in the shelves...and what a fabulous island with not 1, but 2 chandeliers above! Amazing! I love dark wood in white kitchen. I love your Kitchen, it's lovely. Gorgeous - and you have an amazing home. I love every single thing you have done so far! 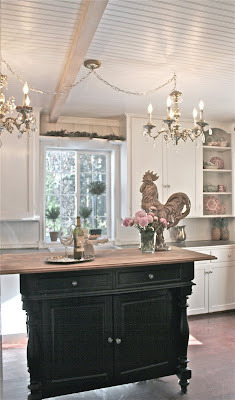 Very beautiful Courtney!Love the beadboard and the black island especially. Oh your kitchen is beautiful! I have a 1933 cottage & that's exactly what I love about my kitchen...huge cabinets that reach all the way up to the ceiling. This is the first time I've seen your kitchen - soooo absolutely beautiful! Can't wait to see more. Thanks for sharing!! :) Happy Wednesday!!! Beautiful Courtney! Not surprised one bit that it's as lovely as it is, since it belongs to you. :) Can I ask, did you add the beadboard ceilings yourself or were they already there? I just love them! I love that black island and the chandeliers. Your entire kitchen looks so light and airy. Love everything about that island, Courtney! It looks like you have such a nice size kitchen. I'm looking forward to seeing more. I can't believe you have anything going on with it ~ it looks wonderful already! Love the island and the chandys of perfect!! Courtney, I cannot wait to see more of your kitchen. I know it is gorgeous just from the teaser you posted! Courtney, this is such a pretty kitchen! The chandeliers are just stunning! I can't wait to see the rest! I sure what Love what I see! I can't wait to see! I love your white kitchen, and want to do the same with mine but can't decide if I want the island white or another color. Were putting wood flooring down, and I love white with wood flooring. I love your kitchen! Oh my goodness, Courtney.....every photo of your house just gets better and better! I'm trying not be envious of your gorgeous kitchen. :) It's beautiful! The double chandies, the island, the topiaries in the window.....yum! Soooo....when are you going to come over and redo my house.....???? lol! So pretty Courtney, love that island! Love what I see and love that island. Can't wait to see what you have done. Your kitchen space is so bright and cheery! Love the island too, it really makes a statement. Nicely done. Your kitchen is just gorgeous Courtney, I love the beams and the chandi is so pretty and perfect. Your kitchen is beautiful and I can't wait to see what you have done. 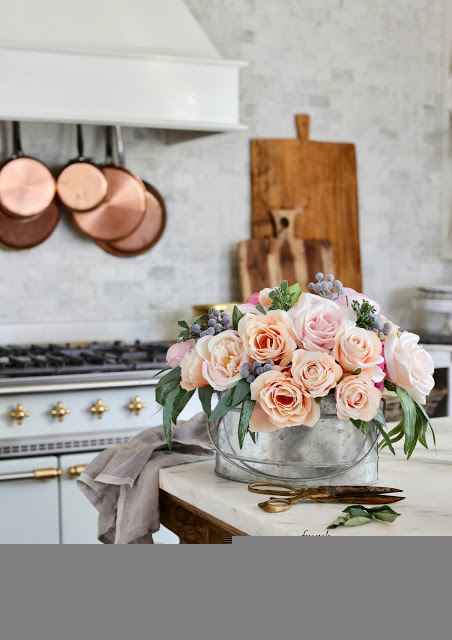 Oh, Courtney, your kitchen is so gorgeous. I absolutely love it! I can't wait for you to show us more! Courtney I love your kitchen! Can't wait to see more! Your island is fabulous and fits so well in your kitchen! Ohhh, it's so beautiful. I want to see every corner of it! Well your kitchen at its current state is really beautiful Courtney! 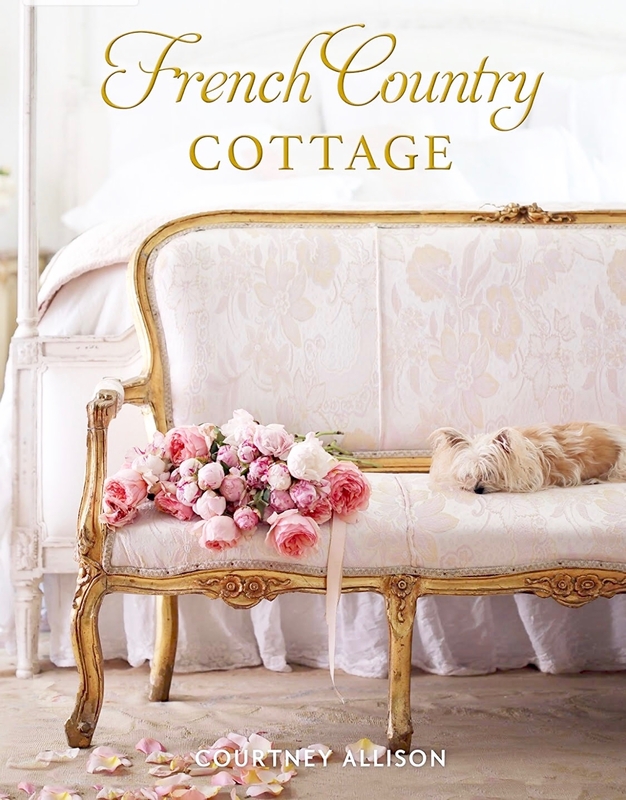 Love the special French country touch here and there. Happy New Year! Ahhhh, will patiently await the full reveal! That island is gorgeous! IT's gorgeous!! I love your style - so simply and so pretty. And what beautiful cupboards - I can't wait to read more!! - you big tease, you!! Your kitchen is so charming. I adore it and it is soothing. That is so important to me. I LOVE UR KITCHEN ! YOU DID AN AMAZING JOB! I JUST WISH THE PICS ON THE BLOG WERE BIGGER! THX FOR SHARING! 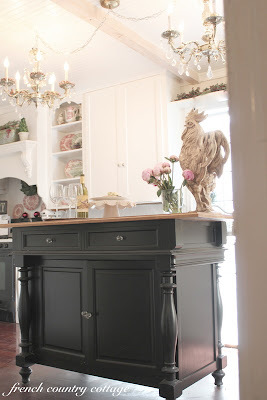 The colors, the chandeliers, the rooster grand touches...love it all Courtney! Courtney, Your kitchen is so beautiful!! Love the island. 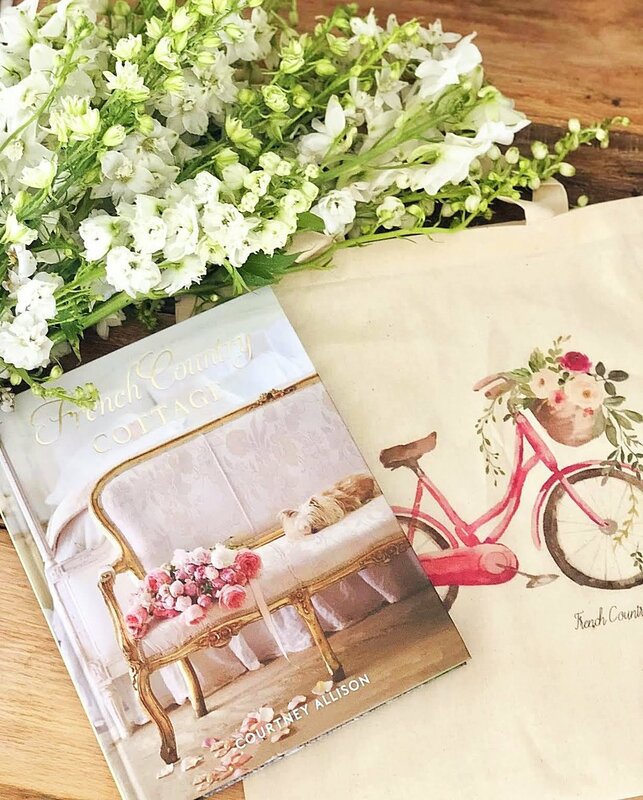 Thanks for your sneak peek Courtney! Your kitchen looks so dreamy and your ceilings are to die for! Thanks for hosting the party! 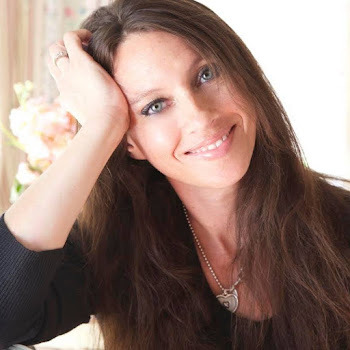 I'm a new blogger and this is fun! AHHHH-just lovely! I am super excited to the rest:)I would love for you to come share at my party going on now through Sunday at midnight! Beautiful Courtney! Thank you for joining me at Home Sweet Home! Hello! LOVE the kitchen!! Can you tell me where you bought that beautiful rooster on your island? ?